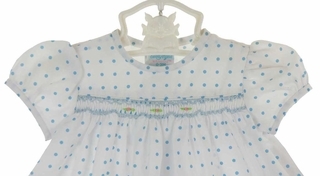 This adorable little white smocked baby dress with blue dots is made by Rosalina, a leading designer of classic children's clothing. Made in vintage style, it features blue smocking and delicate blue rosebuds on the yoke. 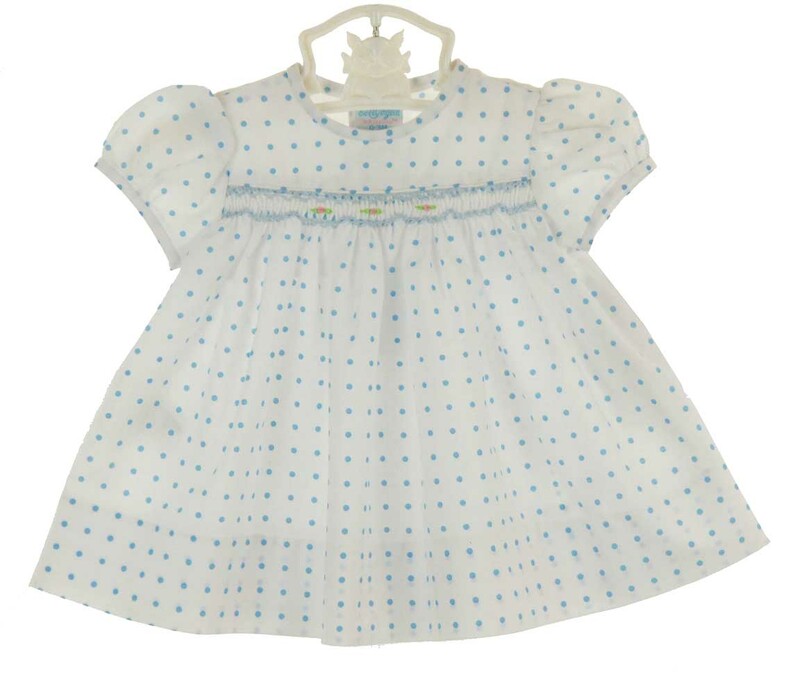 It has a simple round neckline and short puffed sleeves with a back buttoned closure. In typical vintage style, it has a deep hem. The perfect take home dress, portrait dress or anytime dress for your baby girl! 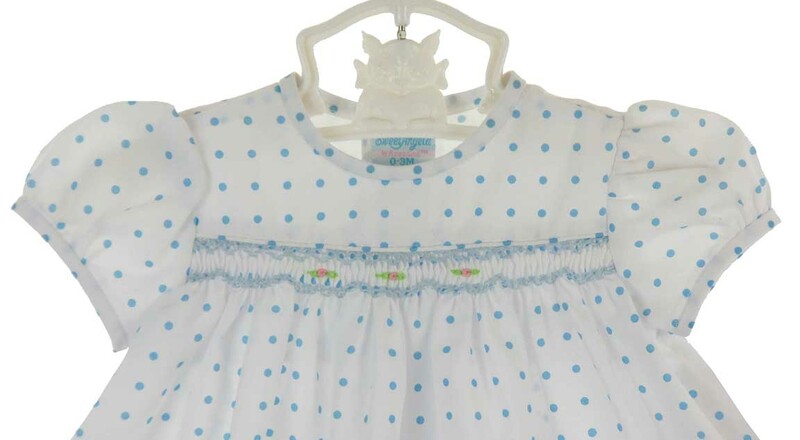 Note: This sweet dress is also available with pink dots. See below.